The history of railroads in the Town of Winthrop, Massachusetts and its neighboring communities is recounted. Details are provided about the railroads' routes, equipment, service, and corporate structures. Included is a description of how these railroads fostered the development of Boston's Inner North Shore. During the last quarter of the nineteenth century, little known steam railroads competed to serve--and sometimes to initiate--real estate ventures along the beaches and marshlands northeast of Boston. These railroads, of both narrow and standard gauge, also exploited the newfound leisure time of the working and middle classes. Trains provided cheap transportation to the seashore and its amusements, eateries, and seasonal hotels. Massive trestles, an extravagant recreational pier, and synchronized steamboat services were developed to support the railroads. This book recounts the stories of these enterprises and the communities that grew up around them. It details not only the construction and operation of the rail lines, but also the people associated with them and the inevitable corporate intrigues. The Train on the Beach will appeal both to railroad enthusiasts and to those intrigued by the history of the Boston area. 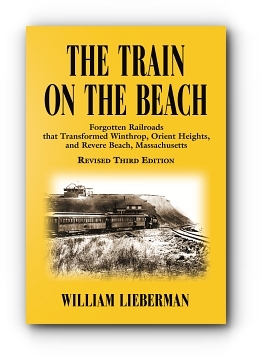 William Lieberman was born and raised in Winthrop, Mass. His fascination with the town’s railroad lore led him to a career in transportation planning. He received his bachelor’s degree at Northeastern University and his master’s at the University of North Carolina. 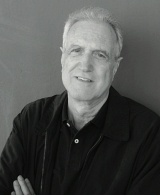 For almost fifty years, Bill has been engaged by transportation consulting firms and public agencies. The latter include the transit systems in Portland (OR), San Diego and San Francisco. He considers himself fortunate to have followed the advice to "choose a job you love, and you’ll never work a day in your life." Bill and his family live in San Francisco and make regular pilgrimages back to Boston.